Not far from Rome, there are several water parks - they are designed for children's and family leisure time (here it is possible to have fun and cool off in the summer hot days). Waterpark "Hydromania" open to the public from MaySeptember. Children's ticket (under 10 years) will cost the visitors 13 euros / 14: 00-19: 00, 15 euros / 09: 30-19: 00, and adult - 20 euros / half day, € 25 / full day; the ticket price for the whole season - 200 euros / adult and 180 euros / child. Waterpark "Aquapiper" features water slides( "Anaconda," "Kamikaze" and others), children, adults, swimming pools with hydro massage and the effect of sea waves, pads for skateboarding, tennis courts, cafes and bars, and in the afternoon guests here engage in the animation program. And then the guests delight in the open air discos. Entrance fee: children from 10 years old - 12 Euro, adult - 16 euros / weekdays, 20 euros / weekends and holidays. Waterpark "Aquafelix": Guests here have fun with games, performances, music program, are invited to experience "black holes", "Tornado", "Turbo", swimming pools with waves, tsunamis, jacuzzi pools and relax in the green zones. Admission fee - 17.5 euros / children, 20 euros / adult. Vacationers in Rome is to visit the water park"Zoomarine" - here he will be able to enjoy the show with the seals, dolphins and sea lions, to carry out the descent with water slides, use the services of a therapeutic shower and Jacuzzi, to spend time at Zoomarine Beach - tropical sandy beach. Well, the kids will be offered to participate in the "naval battles" on a pirate ship with water cannons (children under 1 meter are not allowed in the water park, the cost of an adult ticket - 25 euros, and children (under 10 years) - 18 euros). Travelers are advised to relax on the beachOstia - if you want you can spend time on the public piece of coast (stay free) or log on to the territory of one of the clubs, where for 12-15 euros you will be given an umbrella and chaise longue, permit to use the restroom, order food and drinks in the club bar. 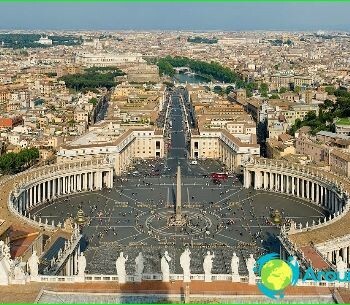 Things to do in Rome? 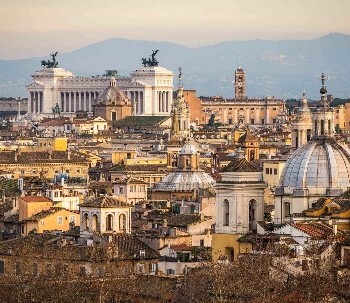 What to do and where to go in Rome?